59.11a. 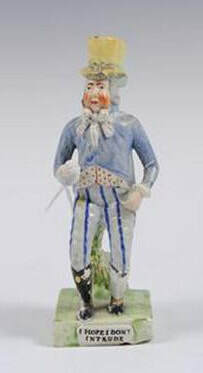 Like 59.11 but with holes in the hat, so perhaps the figure served as a pepper pot or hat pin holder. 51.16. 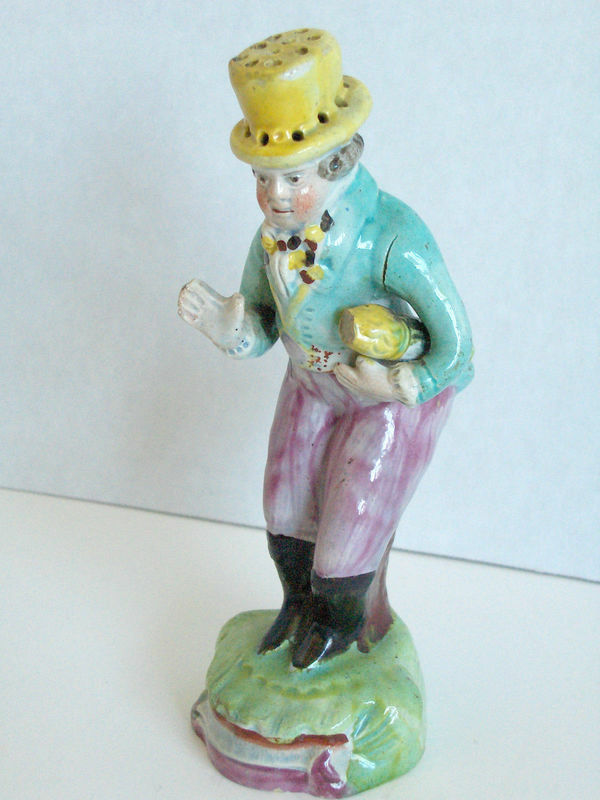 "I HOPE I DON'T INTRUDE" is on the base of this unusual figure of Pry. Courtesy Reeman Dansie. 51.17. An unusual model . The base reminds me of the bases on some Gray Base Group figures, but I cannot make an attribution. 51.18. Paul Pry. Inscribed "Paul Pry just Dropt in" on the base and impressed SALT on the reverse. Courtesy Gildings.